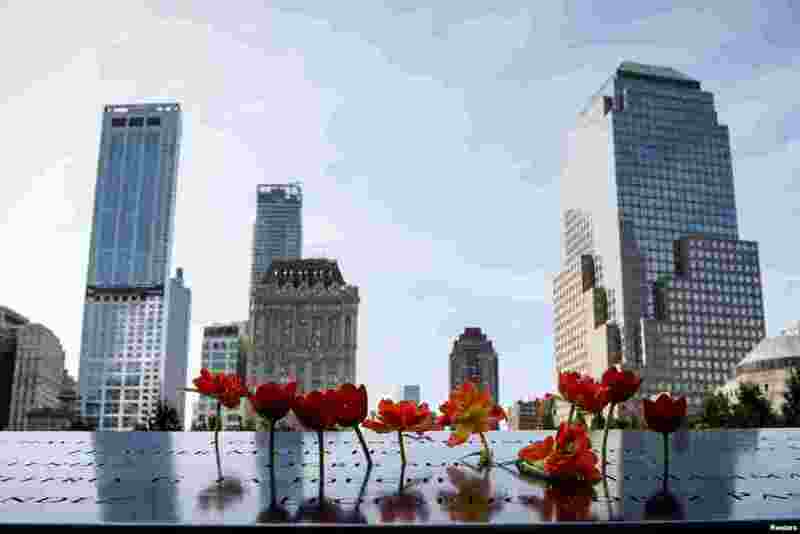 ١ Flowers are placed on names of the victims at the National 9/11 Memorial and Museum during ceremonies marking the 16th anniversary of the attacks in New York. 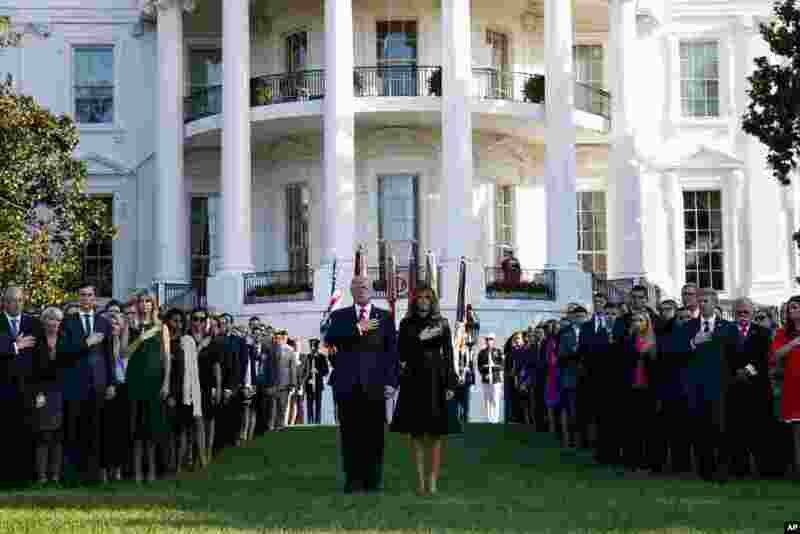 ٢ President Donald Trump and first lady Melania Trump stand as "Taps" is played to mark the anniversary of the Sept. 11 terrorist attacks, on the South Lawn of the White House in Washington. 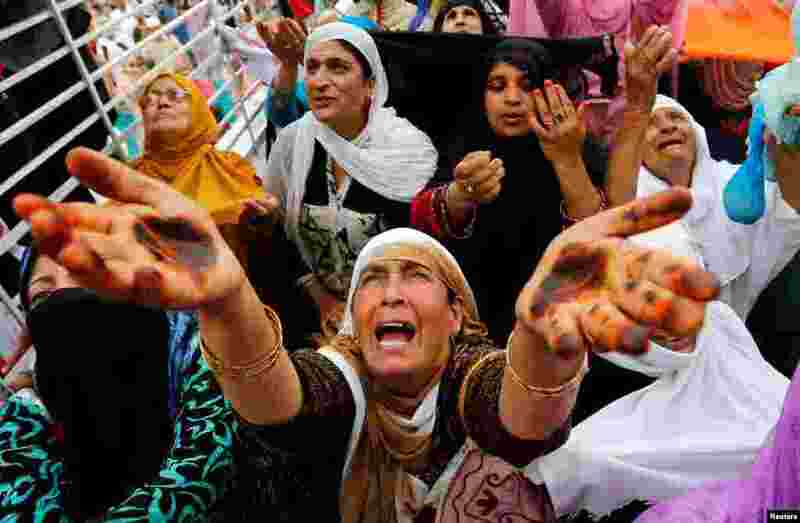 ٣ Kashmiri Muslim women pray during a festival to mark the death anniversary of Usman ibn Affan, one of the companions of Mohammed, at the Hazratbal Shrine in Srinagar, India. 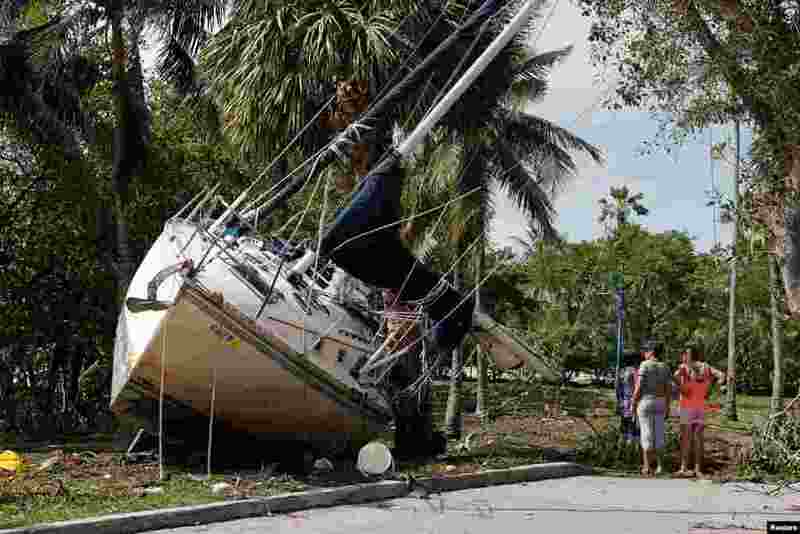 ٤ A Wrecked boat comed ashore in Coconut Grove following Hurricane Irma in Miami, Florida.